Silk burnooses by Galanos on the cover of Harper’s Bazaar, October 1966. Photo: James Moore. Image: eBay. James Galanos Vogue pattern envelope flap. Image: eBay. Maud Adams wears Vogue 1854 by James Galanos on the cover of the Vogue Patterns catalogue, January 1968. Image: eBay. Vogue 1854 by James Galanos (1967) Model: Maud Adams. Image: Vintage Patterns Wiki. Vogue 1855 by James Galanos (1967) Model: Lauren Hutton. Image: eBay. 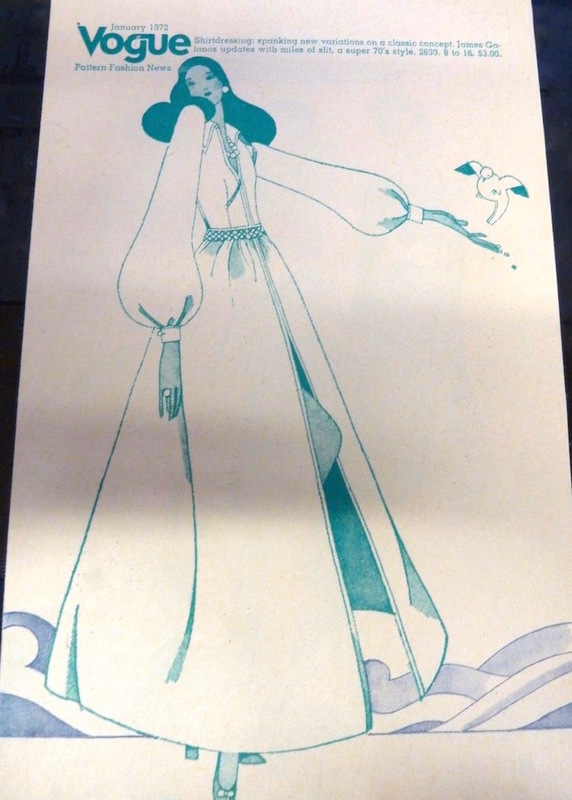 Vogue 2071 by James Galanos (1969) Image: Etsy. Vogue 2269 by James Galanos (1970) Image: Vintage Pattern Wiki. Vogue 2524 by James Galanos (1971) Image: Vintage Pattern Wiki. Vogue 2639 by James Galanos (1971) Image: Vintage Pattern Wiki. Vogue 2639 by James Galanos on the cover of Vogue Pattern Fashion News, January 1972. Illustration: Ron Becker. Image: eBay. 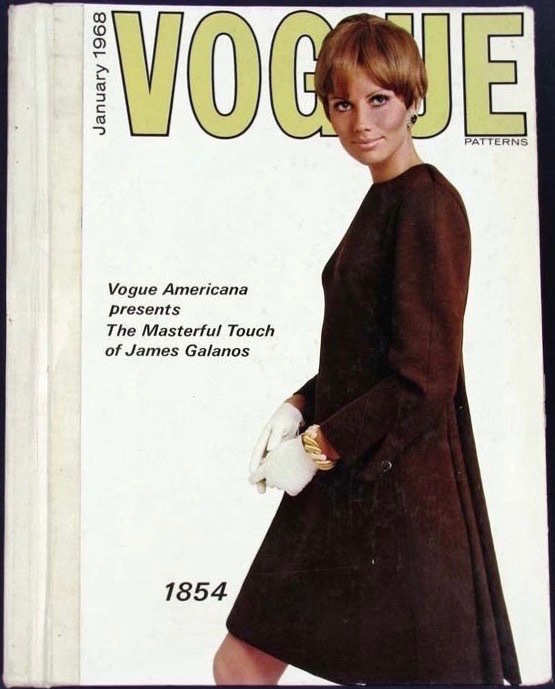 For more on James Galanos, see Hamish Bowles’ obituary for Vogue or watch LACMA’s 1996 documentary, Galanos on Galanos (with thanks to Jen O of the Pintucks blog). Feather-trimmed sheath in silk ottoman cloqué by Galanos on the cover of Harper’s Bazaar, November 1963. Photo: Melvin Sokolsky. Model: Donna Mitchell. Image: Paper Pursuits. He’s not a designer who had crossed my radar before but I am loving some of these. Very wearable but with interesting details. I bet those double pleats would be hard to tame though: you’d need the right fabric and loads of pressing. Tempted anyway! Oh thank you for the reminder! I have 1854 knocking around here (made it as a youth) and I know just the person who would love that. The cut is really nice; this is the pattern where I learned that a high armhole has more movement than those longer, wider ones from the 80s. Some designs really are ageless. I’m in a bit of a 1970s revival right now – such inspiration. Thank you. PatternVault is an independent, ad-free blog created and maintained by Sarah Sheehan. Your tips help Sarah continue to produce high-quality, ad-free content for you. Sarah Sheehan is a writer, fashion historian, and industry observer. She launched the PatternVault blog in 2011 with a series on Givenchy sewing patterns by Alexander McQueen.